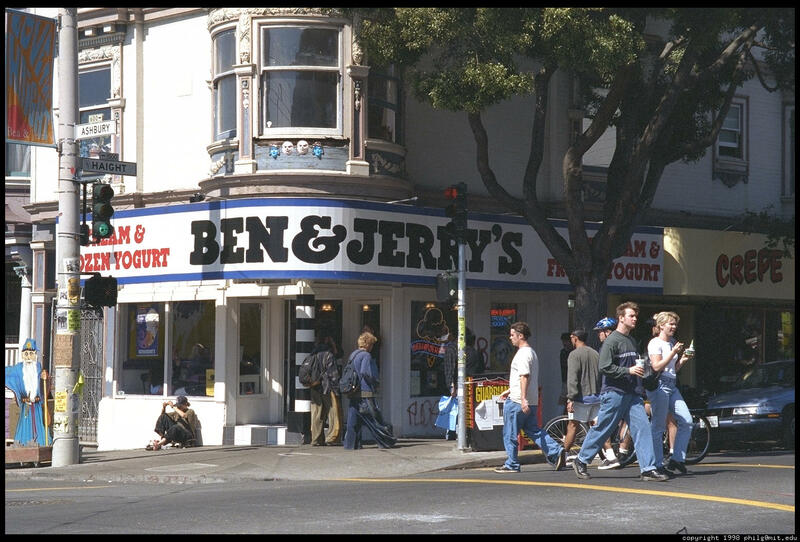 What a pleasure it is to do Local SEO for such an iconic business as the Ben & Jerry’s at the corner of Haight & Ashbury in San Francisco! This store is not just about the ice cream – it’s literally an extremely popular tourist attraction in the city and one of the ‘must-see’s’ for visits to The City. Our role is to keep their local profiles updated & optimized and to monitor to keep things humming smoothly. The Ben & Jerry’s scoop shops attract 95% impulse customers, so ranking for “ice cream” have little value. The focus (for us) is to drive leads for their catering business with such phrases as “ice cream catering in San Franciso“, “dessert catering”, “party catering“, etc… And it’s a big city with lots of parties happening. This is a special client for us and we’re proud to have produced amazing results for them over the years.